Sincron is a 3 columns WordPress theme with featured posts in homepage, left and right sidebar and a powerful theme options. Best for business WordPress sites. 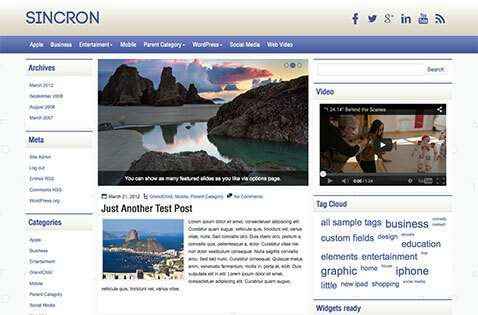 Features: Widgets ready, Responsive, Social Icons, Facebook and popular posts.